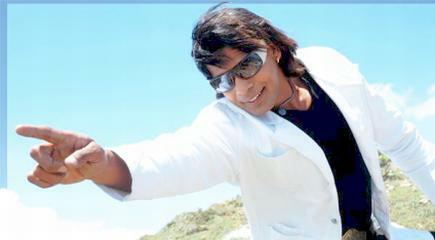 Biraj Bhatt has been very busy in Bhojpuri movies that he find little time to go back to his home land, Nepal. Nepali movies have a smaller market and can’t pay as much as Bhojpuri movies. So, he has been much busier in Bhojpuri movies these days. In a program organized in Kathmandu, Biraj told that he has come back in the promotion of his upcoming movie "Mrigtrishna". Mrigtrishna is written and directed by acclaimed Nepali movie director Tulsi Ghimire. The movie made by Sai Gayatri Films is expected to be liked by movie goers. Last year, almost all of his Nepali movies were unsuccessful. May be that was the reason he has decided to devote some time in the promotion of his upcoming movie. Let’s wish Biraj all the best for his Nepali movie. pzazz send me this movie i know this movie is vary good so i really want to watch it one time pzazz send i am in USA if i was in Nepal i will watch in film whole but i am in USA i don’t have film whole.